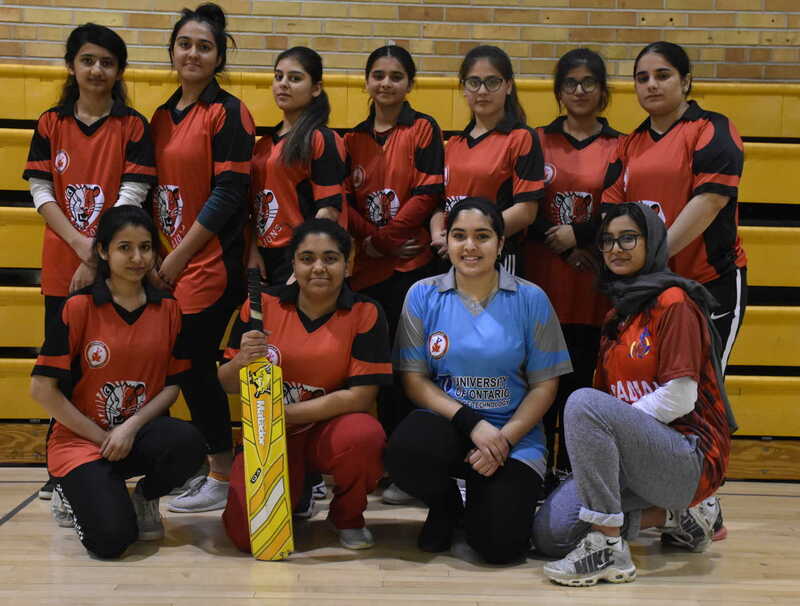 Ryerson University topped the round-robin standings with 3 wins from 3 games in Sunday’s (March 31, 2019) inaugural Canadian College Cricket indoor Women’s Ontario Cup but were eclipsed in the semi-finals by Wilfred Laurier Golden Hawks. The Golden Hawks, one of three teams to win once and lose twice in the round robin stage, then stumbled to defeat in the Final against the composite Canadian College Cricket team 1. 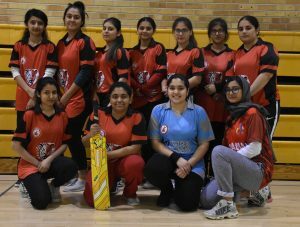 Canadian College Cricket 1 came through with wicket-taking success in semi-final action against University of Toronto Scarborough Campus (UTSC) and Wilfred Laurier Golden Hawks. UTSC made 35 runs for the loss of 6 wickets from 5 overs, then Canadian College Cricket clipped 37/1 from 3.3 overs. Wilfrid Laurier had stormed past Ryerson with 45 for no wicket after 4.1 overs in the semi-final but stumbled to 23 for 7 wickets from 5 overs in the final. Canadian College Cricket 1’s opening bats swept to 25 without loss from 2.4 overs. UTSC had opened the tournament with a useful 53/1 from 5 overs then held Laurier to 38/2 (5 overs) to win by 15 runs. Canadian College Cricket 1 pegged UTSC to 34/3 (5 overs) then reached a winning 36/1 with 5 balls to spare. Ryerson’s opening bats clipped 55 for no wicket from 5 overs and beat UTSC by 17 runs to top the round-robin standings. 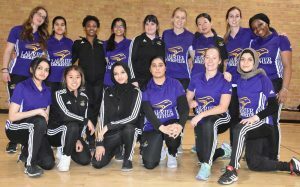 The last round-robin game saw Canadian College Cricket 1 post 37/1 from 5 overs but the Laurier Golden Hawks flew to a first win with 39/2 after 4.2 overs. The Golden Hawks then dented Ryerson’s flight in the first semi-final but fell in the final against Canadian College Cricket 1.